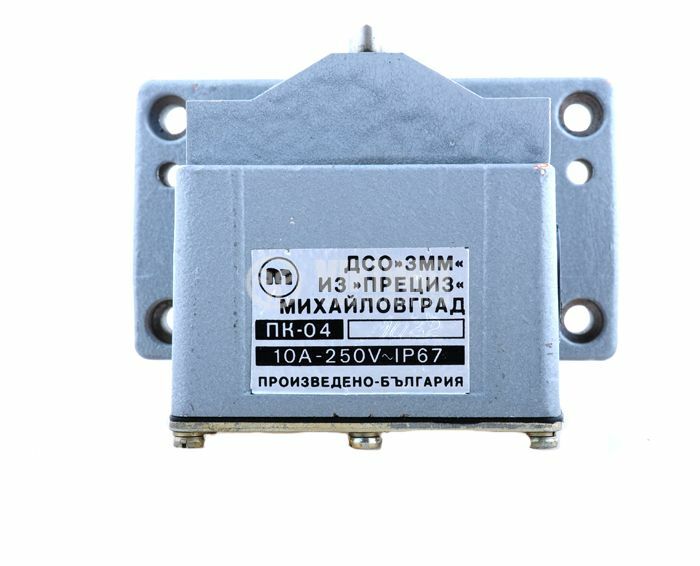 Limit Switch ПК-04 (PK-04) with contacts configuration 4PDT - 4xNO + 4xNC and rated current 10 A at 250 VAC. 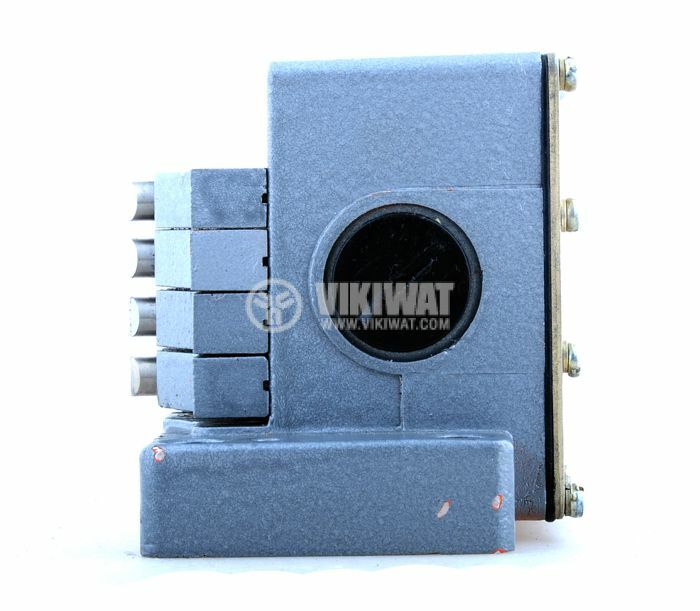 Limit switches have a wide range of operating points control. 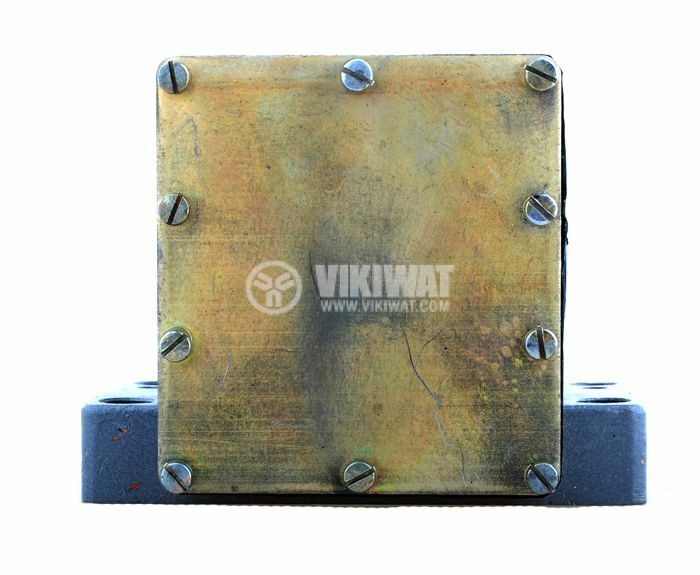 They control the mechanical motions and convert them into an electrical signal. 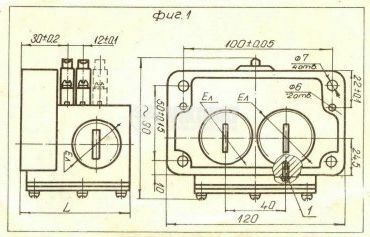 When the moving parts of the object makes contact with the lever system, the device operates the contacts to make an electrical connection. 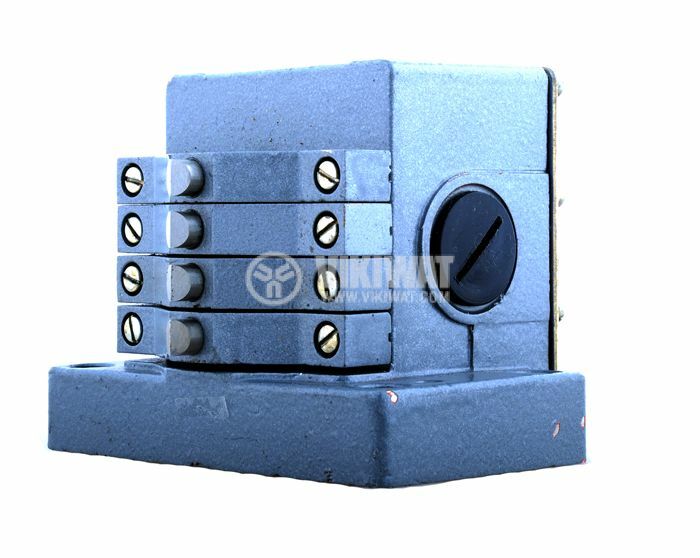 Limit switches are used to control, protect and block hoists, lifts, belt conveyors and many others. 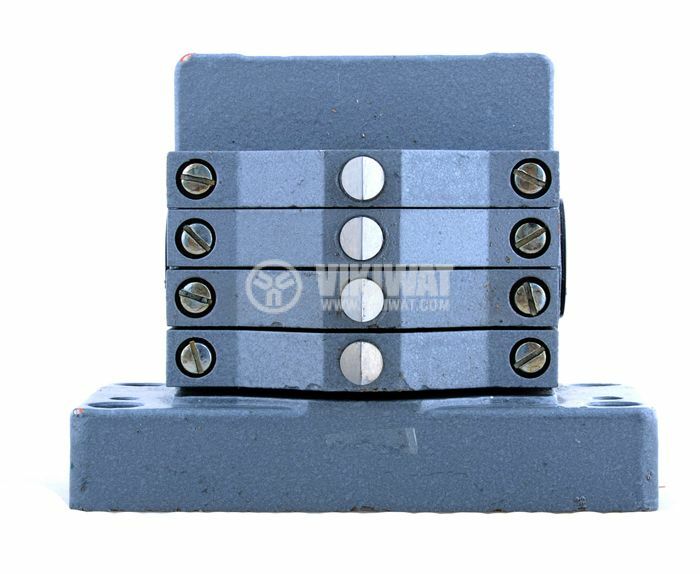 mounting - 4 x ф 7 mm and 2 x ф 6 mm openings. List Price: 109.00лв. VAT Incl.